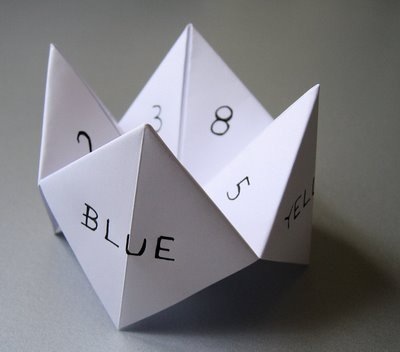 These went by several colorful names, including "cootie catcher", "chatterbox", "salt cellar", and "whirlybird". My sisters were always making these things. It was a operative "slam book" of sorts.